StoryWalk® is an innovative and delightful way for children — and adults! — to enjoy reading and the outdoors at the same time. Laminated pages from a children's book are attached to wooden stakes, which are installed along an outdoor path. As you stroll down the trail, you're directed to the next page in the story. Watch a short video about our Stillwater Storywalk using this link. Please note the survey and free book are no longer available as we have completed the grant period. The Stillwater Public Library plans to regularly rotate the stories at Couch Park. The books will be themed seasonally, healthy living focused, and nature/ great outdoors. Make plans to check out the Storywalk each time you visit Couch Park! StoryWalks® have been installed in 50 states and 12 countries including, Germany, Canada, England, Bermuda, Russia, Malaysia, Pakistan and South Korea! They are always received with appreciation. 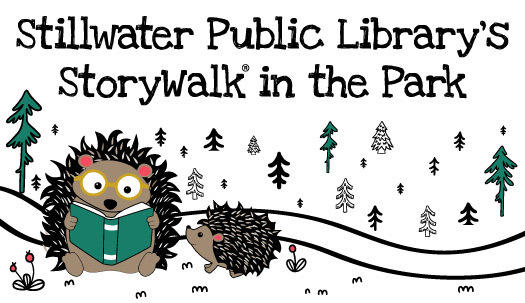 StoryWalk® was created by Anne Ferguson of Montpelier, VT and has developed with the help of Rachel Senechal, Kellogg-Hubbard Library. To read more about the history of StoryWalk® please click here. How did we get a StoryWalk®? The Stillwater Public Library received a health literacy grant from the Oklahoma Department of Libraries and the Institute of Museum and Library Services. 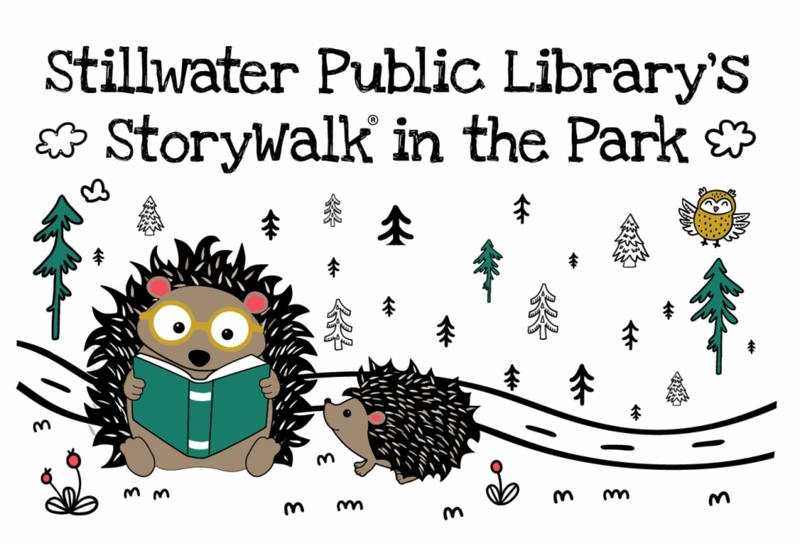 In addition to the StoryWalk® the library will also be providing health information and a children's book relating to the pictures in the StoryWalk® from March-August. During the first two books posted, "From Head to Toe" & "Eating the Alphabet," families may visit the library to receive a free health focused picture book to keep at home! Eating the Alphabet will be up until we pass out all of our books.